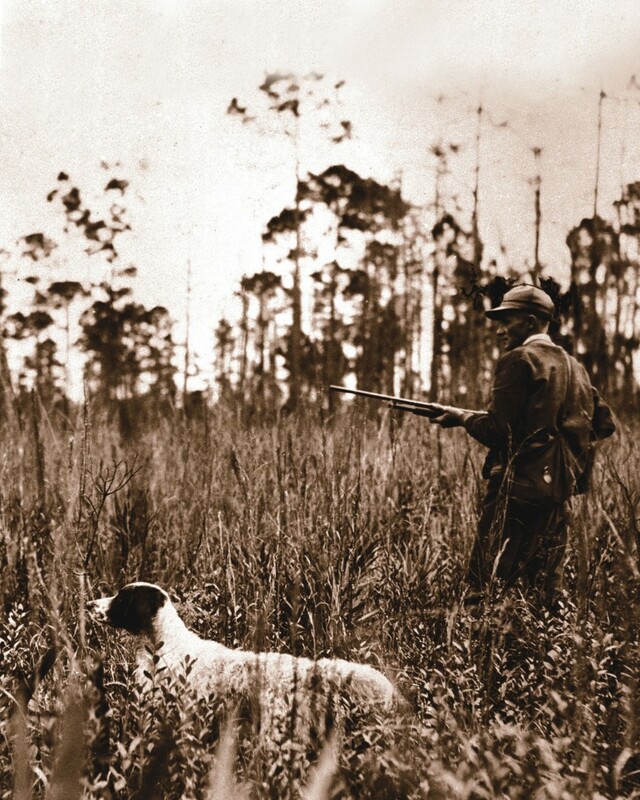 A sport of the South, quail hunting is rich with tradition and history. 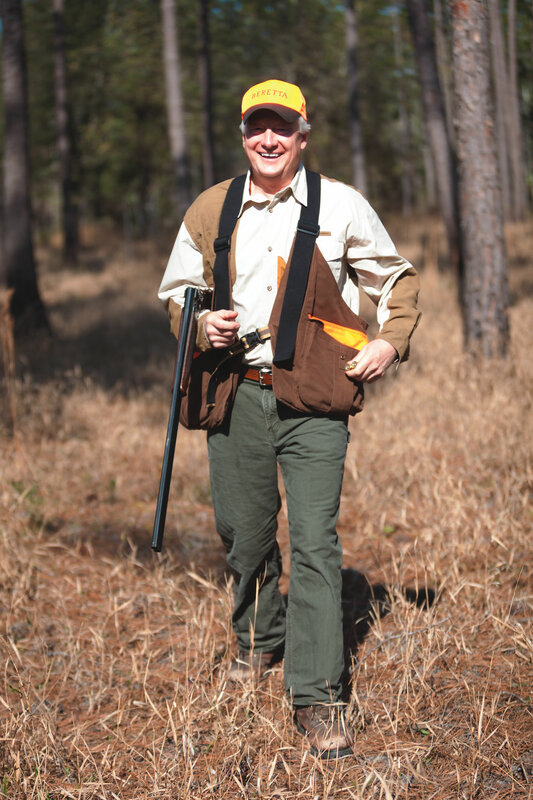 Quail hunting has been a part of Southern heritage enjoyed by numerous generations, regardless of age or class, for several hundred years. Appropriately named for the bird that has historically symbolized the sport of Southern gentry, Gentleman Bob has been a source of common ground for many who love the hunt and respect the tradition. These traditions and the proper etiquette associated with quail hunting go back to the days before smokeless powder. Gentlemen in coats and ties were accompanied by ladies in long hunting dresses, as they traveled by horses and wagons to the designated hunting fields. There, they would follow pointing dogs and their handlers around the edges of these managed hunting fields. Toting traditional side-by-side shotguns, they were in pursuit of the next covey of quail to be discovered by these well-trained dogs; followed by the exhilaration of the bobwhite quail being flushed from their shelter, resulting in a burst of fluttering wings by the hunted and a blast of adrenaline by the hunter. The very same excitement that surrounds the hunt has been equally as satisfying for the farm kids armed with their father’s shotgun as they venture into the thick of the fields with only the help of the family’s hunting dog and a natural instinct. Due to the thrill of the hunt and the traditions passed down through each generation, outdoor enthusiasts of all types have been privileged with the opportunity to pursue Gentleman Bob. The beloved bobwhite quail is mostly found in the Middle Atlantic States, the Great Plains, Florida and Mexico. While the states of South Carolina, Georgia and Alabama have the richest history when it comes to Gentleman Bob, states such as Texas, Tennessee and Kansas also have a very fond respect for the bird. There are several other species of quail such as the scaled, gambel’s and California quail scattered throughout the U.S. Unlike the bobwhite, these species are typically larger, but more difficult to hunt in many cases. While these species may be equally as beautiful as they are tasty, the birds have tendencies to either flush in wild patterns or run, making them tricky to hunt with today’s pointing dogs. At the end of the day, the pageantry of hunting bobwhite quail in the South still commands a level of respect rarely found in the world of hunting today. Females lay their eggs on the ground and often have 12 to 16 eggs in each clutch; typically producing two clutches each year. When the coveys are disturbed, their first instinct is to remain still; however, the second form of defense is when they flush, or explode, into the air to confuse the predator, making it more difficult to focus on a single bird. While the love of hunting bobwhite has still passed through generations, their habitat has sadly been reduced, resulting in the number of birds becoming largely diminished. “In the traditional Southern quail states, bobwhite populations have declined to the point where some experts have considered listing them as a candidate species for the threatened and endangered species list,” says Roger Banks, former field supervisor of the U.S. Fish and Wildlife Service, who has worked extensively with the scaled quail in New Mexico and the bobwhite quail in the Carolinas and Georgia for many years. The population numbers of the 1970s will most likely never be seen again, but many professional habitat management specialists and wildlife agencies are proactive in their work to keep this tradition alive for generations to come. 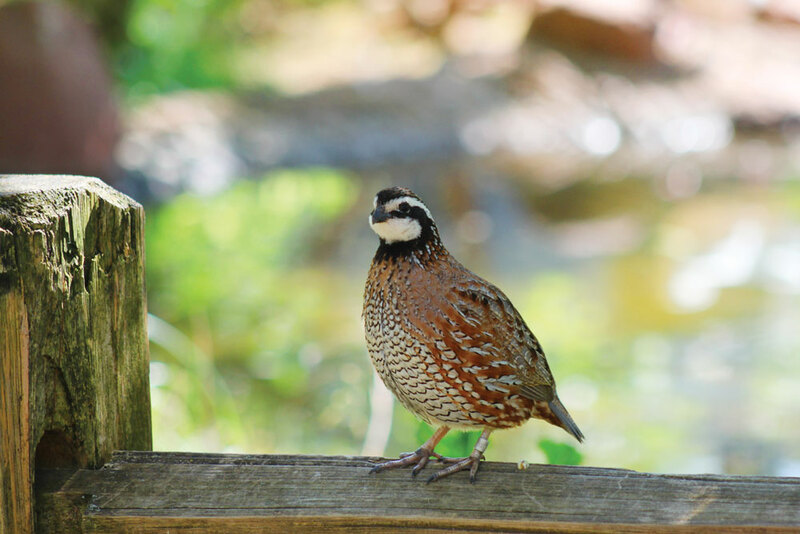 A number of these efforts through state and federal wildlife agencies are underway in the Southeast to restore many of the habitat types essential to the declining quail populations. For example, agencies are partnering with large landowners to collectively restore longleaf pine habitats and encourage the production of warm-season grasses. The populations may be smaller today, but the method of man trying to outsmart bird has not changed much over the years. With safety being first and foremost, the gun of choice is typically a 20- or 28-gauge shotgun, and the dogs of choice include pointers, English setters, Brittany spaniels and German shorthaired pointers. The hunt becomes a carefully choreographed performance between the hunter and his dogs, each working together to artistically find, flush and shoot their prey. Today, the tradition carries on, although it’s more for leisure than necessity. For both the novice hunter and the seasoned professional, a few hours at Broadfield provide a uniquely traditional experience. As Sea Island’s newest addition, this 5,800-acre sporting club and lodge has launched with a bang. With well-appointed accommodation options, and all the modern amenities to provide an enjoyable and safe environment, this masterpiece still possesses the historical integrity of the beloved hunting experience of yesteryear. Broadfield’s manager, Lee Barber, is no stranger to this area. His great-grandfather began working for the Sea Island Co. in 1928, where he worked for 30 years. Following in his father’s footsteps, Barber’s grandfather then worked for the company for 36 years. Now caretakers for this property, Barber is thrilled to manage such an extraordinary lodge that is so rich in Georgia’s hunting heritage. “Our staff, location and services combine to create a truly authentic experience: one where our passion for the outdoors, and what we do each day, is seen and felt by everyone who is fortunate enough to experience Broadfield for themselves,” Barber says. In addition to Sea Island’s guests and locals visiting Broadfield for the day, families and groups often take advantage of the full sporting club and lodge experience by staying on the property. Many rent all three of the accommodations, giving them full access to all that Broadfield has to offer. With a traditional farmhouse kitchen, sweeping open porches, country library with a fireplace, and beautiful dining room for up to 12, the Main House is a fantastic place to call home for several days. An intimate courtyard with a pool, one-bedroom pool house, two-bedroom guesthouse and a host of shooting, hunting and fishing opportunities complete the ultimate Southern outdoor getaway. Carved from one of the South’s earliest hunting clubs, Broadfield officially opened in October 2012 as Sea Island’s newest experience. Since then, it has hosted families, couples, corporate groups and individuals who are looking for a safe environment to experience a traditional Southern hunt. Most guests choose to begin with the half-day experience. Morning hunts begin at 8 a.m., when hunters meet with a guide for introductions and are fitted with guns and hunting vests. The Broadfield bird buggy delivers the eager hunters and guide to the five-stand for a brief clay target warm-up. Venturing into the field, the dogs join the group and the hunting officially begins. These are the most well-mannered dogs when interacting with the guests, but when it comes to hunting, they are all business. The Labradors are used for flushing the quail, and complement Broadfield’s English pointers and setters. The dogs all have their own jobs to do, which they do methodically. 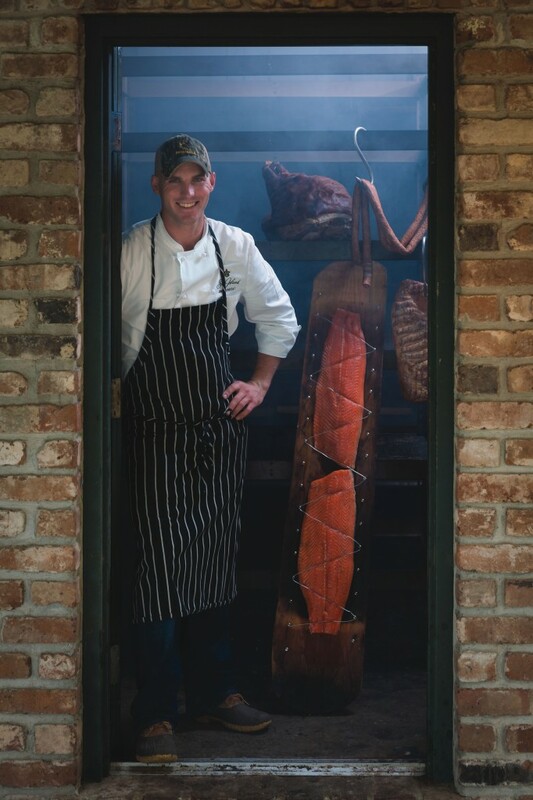 After a successful hunt, the group joins Broadfield’s chef for a delightful lunch— Southern dining at its finest. During lunch, the Broadfield team processes the birds for the hunters so the meat is packaged, placed on ice and ready to go as they leave. Half-day and full-day hunts are both available, with 12 birds being permitted per person for each half-day hunt. To further personalize the adventure, the resort chefs can also take the birds and create a customized dinner for the hunters—a true farm-to-table experience. While the quail hunt defines the ultimate Southern hunting experience, Broadfield has several additional opportunities that complement this sporting club and lodge. The second option is the pheasant shoot, which provides participants with fast-flying action. These hunts are scheduled throughout the year and, as in the case of quail hunts, they fill up quickly, so be sure to plan ahead. The third option is an authentic hunting adventure that provides a glimpse into the lifestyle of a true falconer while on the hunt for squirrels, quail and pheasant. The retreat begins with the Harris hawk following in the canopy, while the hunters flush the squirrels from their hiding places. Once flushed, the chase begins between the hawks and the squirrel. Regardless of the victor, the hunters witness an eye-opening rush of excitement while watching the hawks pursue their prey. The second part of the falconry experience involves the goshawk (both the northern goshawk and Finnish goshawk) while hunting quail with the dogs. Once the dogs flush out the quail, the goshawk’s natural instinct takes over and it pursues the quail with amazing precision. This grand finale entails a pheasant and a saker or peregrine falcon traveling at about 200 mph. By the end of this indescribable adventure, you’ll feel like a full-fledged falconer. “Our guides are extremely knowledgeable and, in the case of family hunts, they provide a more enjoyable experience by keeping a close eye on the kids while the adults focus on the hunt,” says Jon Kent, Sea Island’s director of outdoor pursuits. While more about the thrill of the chase and camaraderie than anything else, pursuing Gentleman Bob allows hunters of all skill levels to savor the rich tradition associated with the Southern bobwhite quail hunt. Method: Combine the above ingredients and marinate for at least 2 hours. Preheat the grill and grill each breast for 3-4 minutes on each side. Keep warm and reserve for salad. Method: Peel and dice apples. Combine all of the remaining ingredients and bring to boil. Pour over the apples and allow mixture to cool at room temperature. 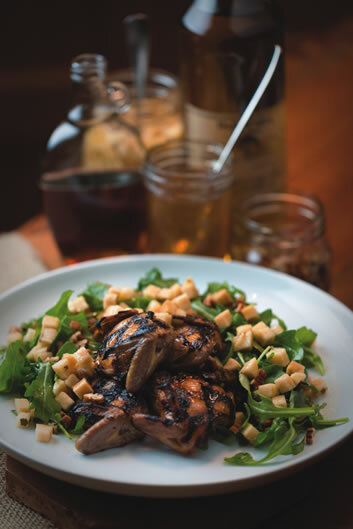 Method: Toss the above ingredients and top with pickled apples and grilled quail.